Amazon has quietly launched overnight in Brazil, and is now selling e-books from Amazon.com.br, Brazilian blog Blue Bus reports. In addition, its new website also reveals that its Kindle e-reader will soon go on sale in Brazil for R$299, around $150. (Update: Amazon has now confirmed the launch, see update below). As you may remember, the US giant had been trying to gain control of the Amazon.com.br domain for years, and recently managed to do so by settling its long legal battle with the domain’s previous owner, a Brazilian company called Amazon Corporation. While Amazon hasn’t officially announced its Brazilian launch, today’s move isn’t a surprise, and follows persistent reports that Amazon had been talking with Brazilian publishers since 2011. If anything, this launch is actually taking place later than expected, as the negotiations had reportedly turned into a soap opera. With a population of over 190 million, many of whom are making their first online purchases, Brazil is turning into a fast-growing e-commerce market, which is increasingly attracting attention from foreign players. 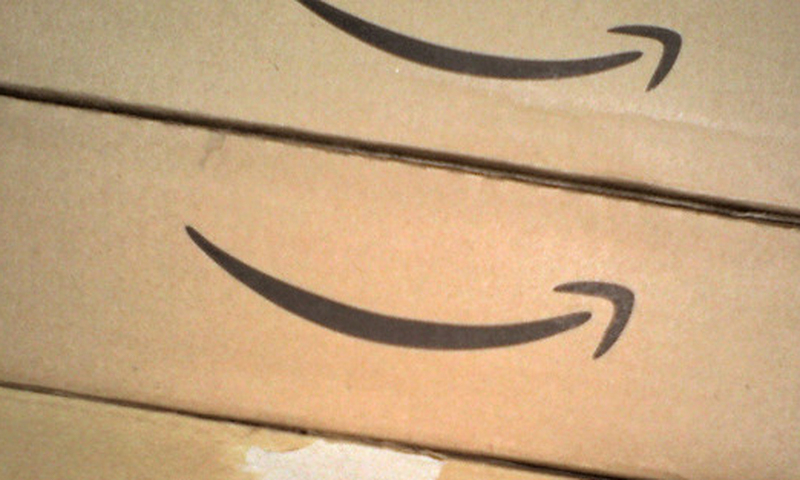 In this context, it will now be interesting whether (and when) Amazon will start selling more than book-related items in Brazil, amid rumors that it is considering acquiring local e-commerce companies to enter the online retail space with a bang. All we know for sure is that its first non-digital product to go on sale will be the Kindle. As you can see below, Brazilian users can already register their email to get notified when it becomes available. Amazon says it will hit the shelves “over the next few weeks”, without confirming whether the device will launch before Christmas. It would certainly make sense for Amazon to start offering the Kindle as soon as possible, since December is a crucial month . In addition, the Kobo Touch recently launched in Brazil in partnership with Livraria Cultura, and the rival device would benefit massively from any delay from Amazon. As we reported, Amazon recently hired Apple’s former director for Brazil Alexandre Szapiro to head its local operations, which seems to confirm that the Kindle is an important part of its growth strategy in the country. According to Brazilian magazine Veja, Amazon was particularly interested in Szapiro’s experience in establishing a local production base for Apple products, as it is considering the opportunity to manufacture Kindles in one of Foxconn’s Brazilian factories. Update: Amazon has confirmed the opening of its Brazilian Kindle Store, offering over 1.4 million books, priced in Brazilian Reais (R$), including more than 13,000 Portuguese-language books. As we noted above, the Kindle will become available “in the coming weeks” for R$299.